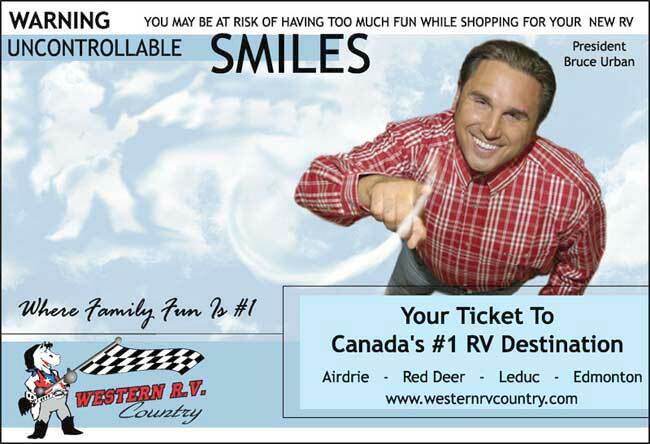 Western RV Country, with stores located in Airdrie, Edmonton/Leduc, Grande Prairie, Lethbridge, Lloydminster, Okotoks, Red Deer, Ft.McMurray (seasonal) and Kelowna BC, have one of the largest inventory of preowned RVs in Canada! Stop in at our stores and check out our website to see the large selection of inventory we carry-- priced for every budget. Many financing options available. We make it easy for you to get into the great RV lifestyle! With our selection and great prices, there's no need to shop anywhere else! Our customers appreciate the fact that they can enjoy our relaxed atmosphere and outstanding selection when choosing their RV from our stores and our online store. 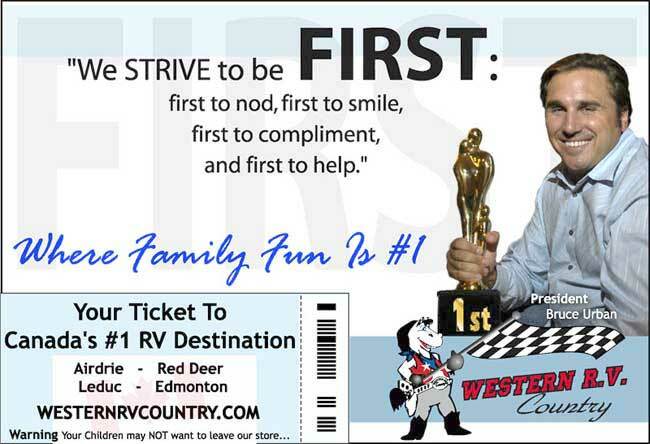 At Western RV Country, family fun is #1. "On behalf of Western RV Country and family, we would like to thank our existing customers for helping us become the largest RV dealer in Alberta. It is with great pleasure we enter 2018 bigger and stronger than ever. I am proud the philosophy of "Family Fun is Number One" is still the basic of our success. 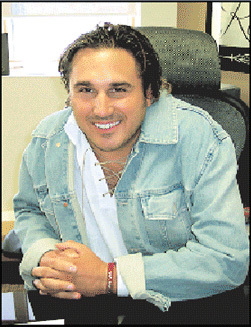 We would be honored to add your family as a part of our family."